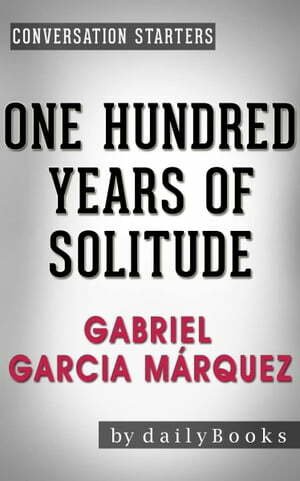 Collins Booksellers - Conversations on One Hundred Years of Solitude by Gabriel Garcia Márquez by dailyBooks, 1230001216998. Buy this book online. One Hundred Years of Solitude was released by author Gabriel Garcia Marquez in 1967. One Hundred Years of Solitude is considered to be a work of magical realism that uses symbolism to represent the history and destruction of Latin American culture. The book follows the fictional Buendia family through numerous generations beginning with the establishment of the city of mirrors, Macondo, by Jose Arcadio Buendia and Ursula Iguaran. It details the Buendias’ lives and the city of Macondo, which happen to be full of tragic events, from beginning to end. One Hundred Years of Solitude has become known as one of the most influential works of fiction in modern times. It paved the path for Gabriel Garcia Marquez to win the Nobel Prize for Literature in 1982. It was considered one of “the greatest” writings by a Latin American author by Latin American Poet Pablo Neruda.